Florry Payet was born on 6th March 1973 in Victoria. She is a teacher of French by profession. Mrs. Payet holds a Bachelor degree in Linguistics in French as a Foreign Language from the University of Franche-Compt in Besanson, France, where she studied from 2002 to 2004. After her O Level Studies at the School of Humanities & Science - Seychelles Polytechnic in 1990, Florry pursued a two year Diploma in Primary Teaching/Education at the School of Education & Community Studies - Seychelles Polytechnic in 1991. From 1997 to 1998, Florry completed her French A Level at the School of Continuing Education at the Seychelles Polytechnic and later in 2000, she studied for her Diploma in Secondary Teaching of the French language , at the same time Diplome Approfondi de la Langue Francaise (DALF) at National Institute of Education (NIE). Ms. Payet has 16 years teaching experience at Beau Vallon and Mont Fleuri Secondary schools where she taught French as a foreign language. 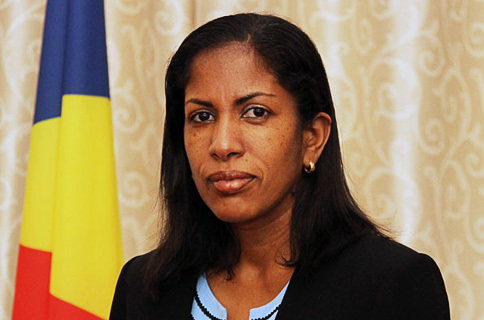 In 2009, Ms. Payet was appointed Assistant Director for Cabinet Affairs in the Office of the President. Florry Payet was appointed as the Director for Cabinet Affairs in the Office of the Secretary of State for Cabinet Affairs in September 2011.